Have your child build their very first robot! Inspire creativity and curiosity in your child! 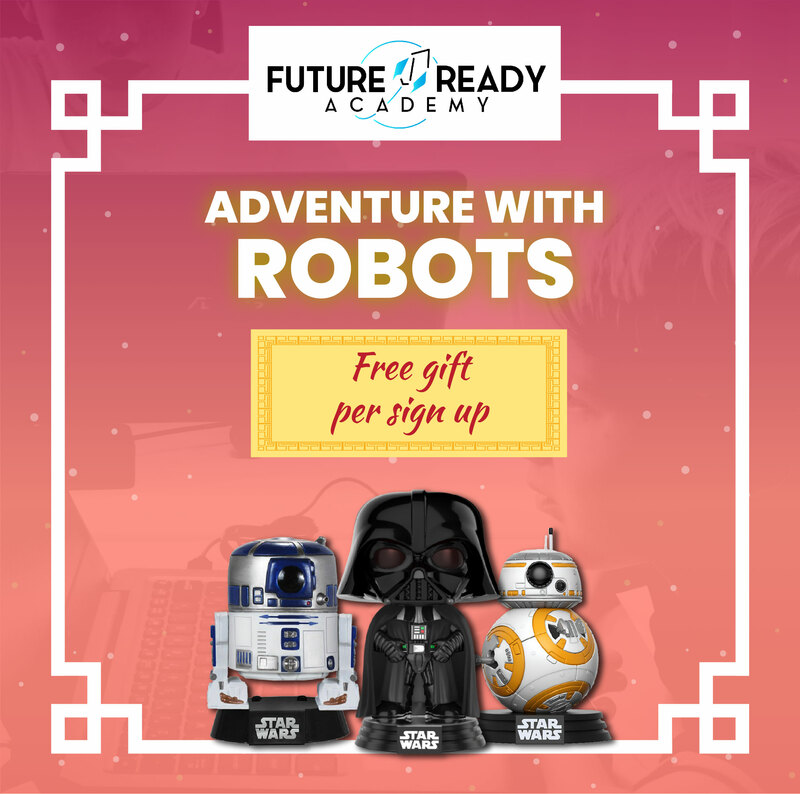 Enjoy a thrilling day of adventure with robots; have your child learn the fundamentals of robotics and figure out how to build a robot from scratch! By clicking “Register”, I agree to abide by these Terms and Conditions. Seats and door gifts are subjected to availability. We will contact you upon your receipt of registration to confirm your child(ren)’s seat. If you are registering for more than 1 child, please register separately. Future Ready Academy reserves the final right on class and seat availability.